hi everyone, does this edition come with pink labels? can't find otherwise the release I own. 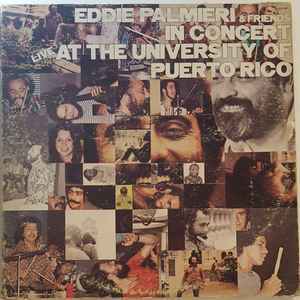 OjO: This is the 1st 1973 pressing/release on the Coco Records label WITH the Coconut and in Cocos' 1st Corporate office which was located at: 1700 Broadway, New York, N.Y. 10019. The others, with just the Coco Records logo, although 1973 also appears on the labels, is a Repress that was done when they moved their corporate office down the street to 1650 Broadway, New York, N.Y. 10019 in 1974. There are Reissues from the US, Colombia, and Mexico in both a Gate Fold and Regular jackets THAT ARE NOT IN THIS DATA BASE YET. So ask sellers for pictures, and/or verification/confirmation as to what their labels look like BEFORE BUYING?